A recap of interesting Wi-Fi and IT industry articles from around the interwebs. For those living in isolation, CES is this week, so much of the news will relate to the show. Note - I will not be covering CES news surrounding tablets or smartphones. Wi-Fi within those devices are well understood and not really new. Wireless display technologies will fight to enter the market in 2012 and compete with Apple AirPlay. I don't think they'll gain much traction in 2012, but Marvell and the Wi-Fi Alliance have a better long-term shot than Intel WiDi, as I wrote about earlier this week. Marvell to Showcase Wi-Fi Display Technology Implemented Across Avastar Family of Wireless Products: "The Wi-Fi Display specification is the basis for an exciting new Wi-Fi Alliance certification program, scheduled for launch in mid-2012. 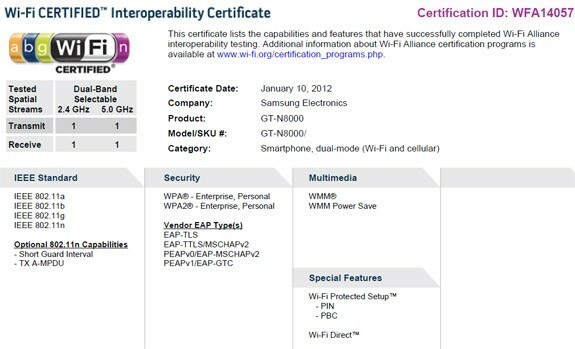 Devices certified under this program can provide a rich audio/video experience between Wi-Fi devices anywhere, at any time, without cables or a connection to an existing Wi-Fi network--all with the multi-vendor interoperability expected from Wi-Fi CERTIFIED." - Wi-Fi is expected to grow 109 percent between 2011-2016 in automotive applications such as infotainment systems, navigation, and traffic monitoring. - Wi-Fi is expected to grow 39 percent between 2011-2016 in health, fitness, and medical applications. - Wi-Fi is expected to grow 25 percent between 2011-2016 in smart meters and automation products." White space Wi-Fi could get faster if Microsoft has anything to say. 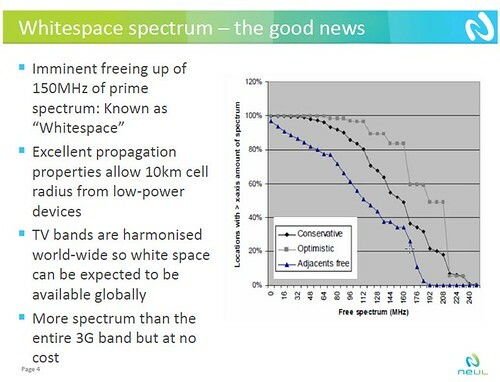 They have proposed Wi-Fi over Narrow Channels (Wi-Fi NC), which essentially bonds non-contiguous narrowband frequencies into a single Wi-Fi channel that increases available spectrum and therefore bandwidth for white space Wi-Fi. WiFi-NC : WiFi Over Narrow Channels - Microsoft Research: "We propose WiFi-NC, a novel PHY-MAC design that allows radios to use WiFi over multiple narrow channels simultaneously. To enable WiFi-NC, we have developed the compound radio, a single wideband radio that exposes the abstraction of multiple narrow channel radios, each with independent transmission, reception and carrier sensing capabilities." Hotspot 2.0 will a recurring theme throughout 2012 (and 2013 for that matter). The ability to provide Wi-Fi hotspot security, ease of use, service and provider transparency, and allow carrier data offload, while doing so with a viable business model for telecom carriers, independent hotspot operators, as well as authentication providers (which, BTW, is not limited to carriers), will be a major milestone for the Wi-Fi industry. Marcus breaks most of this down in his blog post on the subject! Hotspot 2.0 and the Next Generation Hotspot: "Hotspot 2.0 and the Next Generation Hotspot initiatives are possibly the most exciting areas of wireless progress occurring in 2012. For starters, these developments have a worldwide scope of influence. The technologies that come to market as a result of these programs will directly affect a large portion of the world’s population. If brought to market with extensibility, they could revolutionize the hotspot ease-of-use and security landscapes. These programs deserve the spotlight." While you're at it, be sure to sign up to learn about Hotspot 2.0 at the upcoming Wi-Fi Mobility Symposium and Wireless Field Day 2 events being held Jan. 25-27th. Want details of the recent WPS vulnerability affecting Wi-Fi routers? Look no further than the No Strings Attached Show podcast - Episode 02 - Wi-Fi Protected Setup, Battered or Broken? How about making Eye-Fi, the SD cards that connects to Wi-Fi for automatic picture upload, into an industry standard? Enter the SD Association and the Wireless LAN SD standard! Wireless LAN SD standard aims to give every SD card that Eye-Fi flair: "The Wireless LAN SD standard announced today is the SD Association's first wireless SD memory card standard combining storage and wireless capabilities. Consumers will be able to transfer pictures, videos and other content wirelessly from most existing digital cameras and digital video cameras to web-based cloud services and between SD devices over home networks." We've also seen manufacturers embedding Wi-Fi capabilities directly into cameras (Samsung, Kodak), and camcorders too (JVC, Gobandit Live). Watch out Eye-Fi, time to shift into new territory to keep the sales flowing! 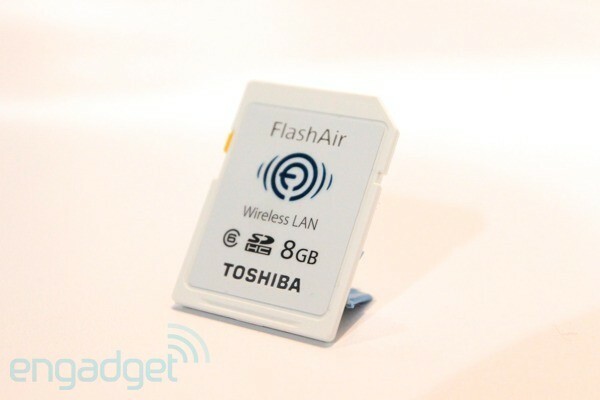 Also, check out this Toshiba FlashAir wireless LAN SD hands-on video! Or how about embedding an Android phone into a true point-and-shoot camera, with this interesting twist on the merger of the two capabilities in the Polaroid SC1630. Okay, I will throw one smartphone news item at you... how about more and more phones supporting dual-band Wi-Fi. There have been others prior, I'd just like to highlight the growing trend. 5GHz phones - "Make it so!" Indoor location services - Google is trumpeting their indoor location and navigation technology in Google Maps 6.0. I first heard of this being deployed in my neck of the woods, at the Mall of America, and now it's at CES. Google Maps indoor navigation: yeah, it works at CES: "Google Maps 6.0 brought a promise of indoor navigation back in November of last year, but outside of a few dozen airports, transit hubs and retail outlets, we had no idea where it was or wasn't implemented. Turns out, Google (smartly) mapped out lots of Las Vegas before the annual Consumer Electronics Show"
Home automation solutions continue to keep plugging away, hoping to find a place in consumer's hearts. Right now most of them are standalone solutions, lacking whole-home automation at an affordable price for the masses. 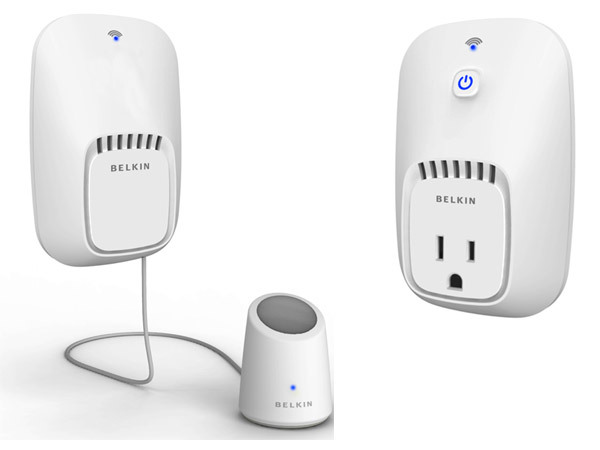 Belkin announces WeMo home automation system; controls electrical outlets with your smartphone, motion: "WeMo works with a home's existing electrical system and requires only a Wi-Fi® network and free smartphone app to set up and control. Simply plug the WeMo Home Control Switch into any electrical outlet and then plug in any device, such as a lamp, into the WeMo Home Control Switch. Through the free smartphone app, the item then can be turned on or off remotely or scheduled to turn on and off at set times." Also check out the Motorola Connected Home Gateway (tour and video). Wi-Fi video surveillance and baby cameras are also quite popular (see Dropcam, Samsung). 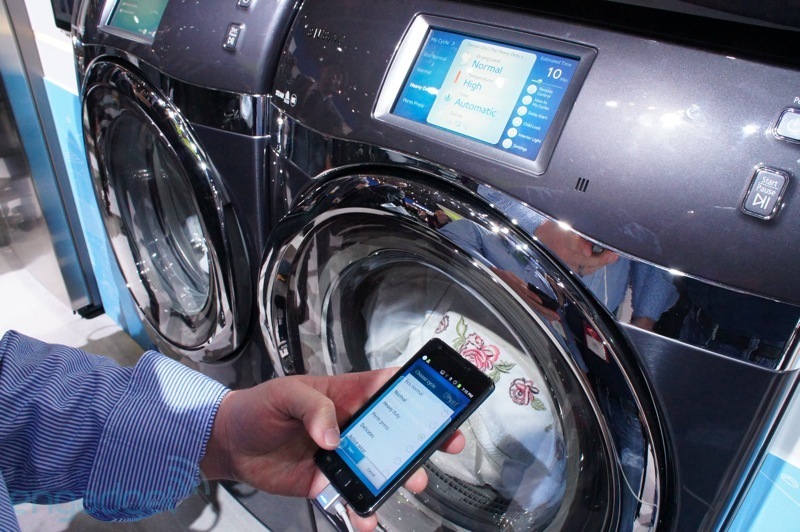 Smart appliances are also back at CES this year, same as last year (see LG, Samsung). While we're at it, let's make it Siri voice-activated too! Oh, and don't forget this weird Withings Wi-Fi connected baby scale! NFC built into MicroSD cards could bring faster consumer adoption, for uses including information retrieval (such as Google Places or Sony SmartTags), information exchange, and contactless payment (mobile wallets). Moneto NFC microSD to bring contactless features to any Android phone: "DeviceFidelity and Spring Card Systems have teamed up on a NFC-capable microSD card that will hopefully forgo the need of buying specific mobile handsets for the privilege of contactless payments. " Also check out this Cirque Glidepoint NFC-enabled laptop trackpad. I'm not sure how this would be of practical use, but it's interesting, that's for sure. Home networking could be made easier with higher-speed powerline networks. I think consumers will still prefer Wi-Fi, but powerline could be an attractive option for older homes with thick construction material that hinders RF propagation. Given powerline's checkered performance history and problems with power strips, filters, and surge protectors, I think it still faces challenges with consumer adoption. HomePlug Alliance AV2 specification promises gigabit class networking over electrical wires: "With MIMO functionality (multiple-input and multiple-output) at its core, the new specification features gigabit class speeds and comes from a decade of field tests. What's more, the new standard promises to bring greater in-home coverage beyond WiFi capabilities while maintaining compatibility with existing HomePlug AV / IEEE 1901 products." Don't Kitchen Sink Me, Dude!